← A new home, and new life (for Charlie). 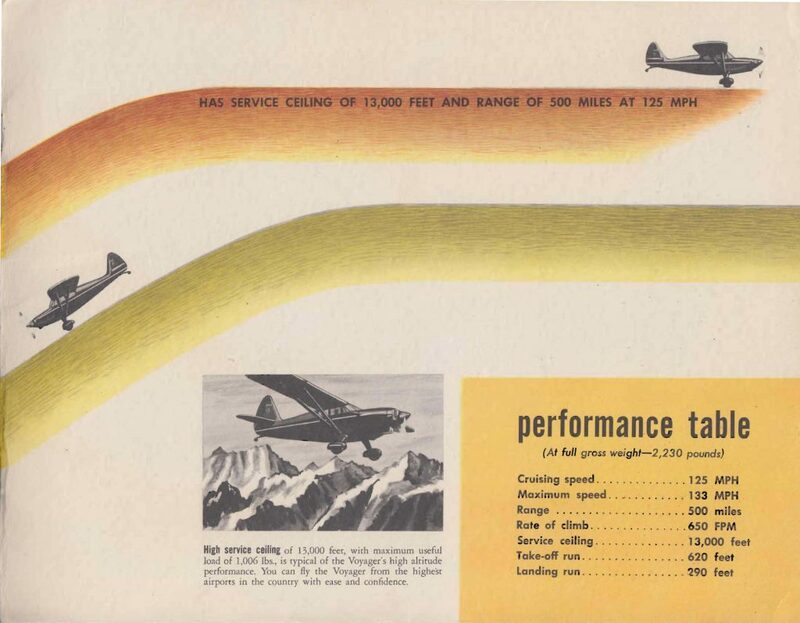 Selling the Dream of Flying in a Past Era – Insights from an old airplane marketing brochure. Showing a pilot looking out the slid back window, soaring above clouds, with what would appear to be “the kids” in the back seat, the “great new Stinson Voyager” presents itself as the plane for the “everyman” (and I mean no disrespect to its applicability to women also, but consider the time, it wasn’t the market that was being targetted just yet). 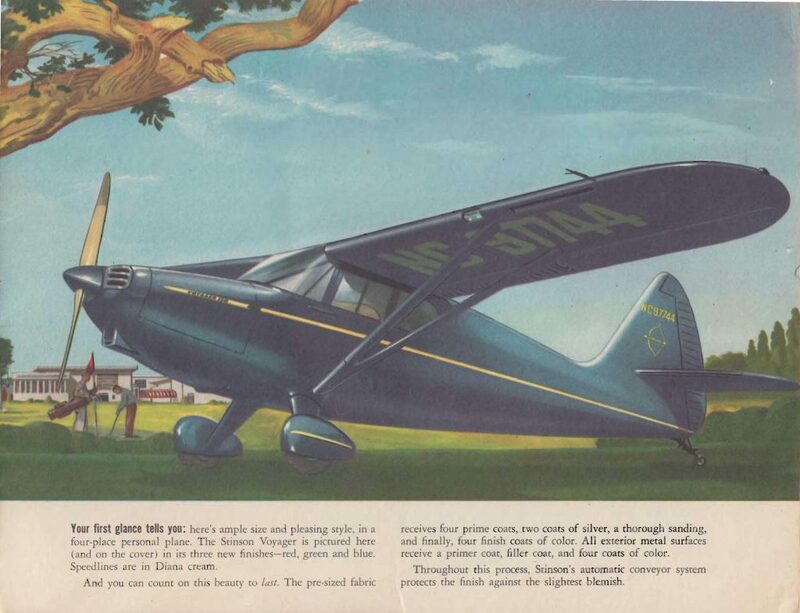 Finding the original 1947 brochure that was presented for buyers with the documents from Charlie was one of many small treasures that gives a historical perspective on the aircraft we are now learning more about. 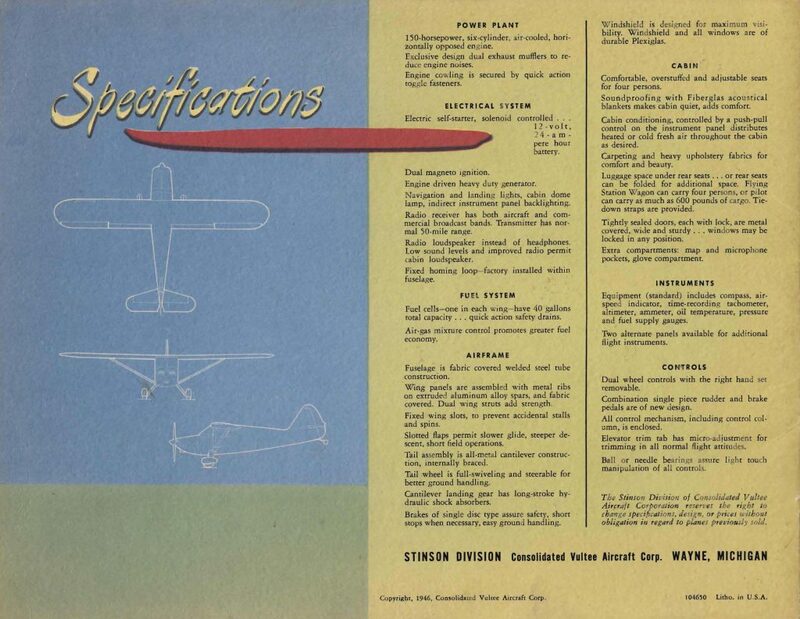 The document is in wonderful shape and shows the detail and presentation given to extolling the virtues of this aircraft to a would be 1947 pilot purchaser who might consider all the benefits of adding a Stinson to the family set of vehicles. The quality of the presentation is amazing. It is somewhere between a professional children’s book and a professional sales brochure. It sells what the manufacturer though would be valued at the time by the buyer and his family. Looking through it gives us an insight into a different time in aviation, and American, history. I couldn’t look through this without wanting to share it for the historical perspective on an aircraft that has managed to live in varying degrees of relevance and utility for now 70 years. I couldn’t help but find a little humor in the below picture. Either people are much taller now than they were then, or the aircraft got shorter over the 70 years. Finding four people who don’t need to duck a little bit get under the wing of the Stinson isn’t all that common. And while fully fueled (our particular 108-1) has nearly 700 lbs of useful load still to go, I highly doubt that the four people pictured and their bags (unless those bags are empty – and just there as props) would leave much room for enough fuel to get very far at 100 mph. 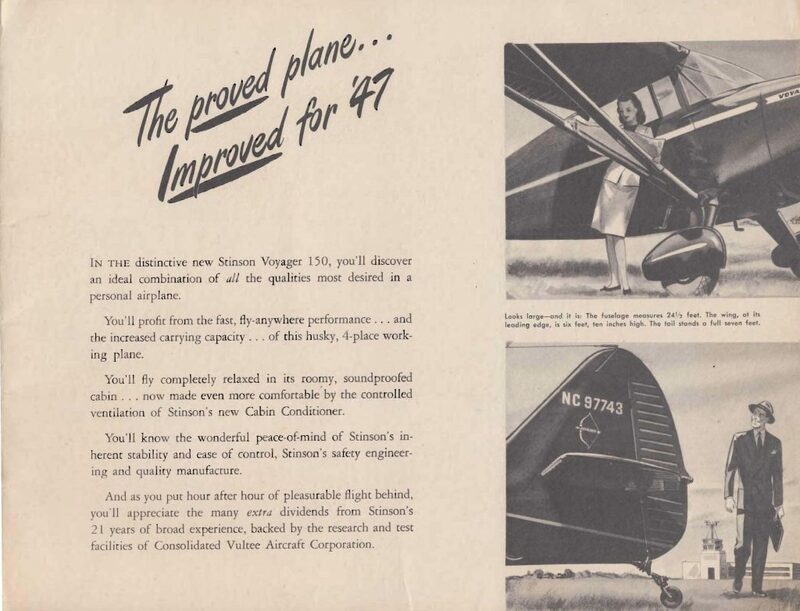 Beginning with some details of the upgrades, just in case you happened to buy one in 1946 and wanted to get a new model, or perhaps, if the ’46 version just didn’t motivate you enough, the ’47 has NEW features that will finally get you to break out the checkbook and purchase. Not only is it billed as utilitarian, but in fact, it can “fly anywhere” with increased carrying capacity. It even has “Cabin Conditioner” installed, which sounds like marketing speak for air vents to me. The good news from the picture above is that at least Mr. Businessman seems to be leaving from a controlled airport, although I doubt the aircraft originally would have been equipped with a radio which could have been used to talk with “the tower” on departure. You have to love the above and below pictures of a Stinson parked nowhere near any discernable runway. Showing how somehow it can be landed in a random field next to the lake or the golf course, perhaps even on the 9th fairway, where the pilot could embark on their daily outdoor adventure and then just fly back home at the end of the day. I can’t help but love the below picture of the cutaway of the cabin with the right sidewall removed. While the interior is pretty darn spacious for a light aircraft, it does seem to belay and not extol how difficult entry to that big back seat may be. Especially for the commonly pictured “wives” in their dresses who might find entry to that back seat less than a dainty process. But what is beautiful is that this really is representative of the quality of workmanship and classical style that was put into the interior of these aircraft. They were build to be equally comfortable and aesthetically pleasing as any motor car of the time period. 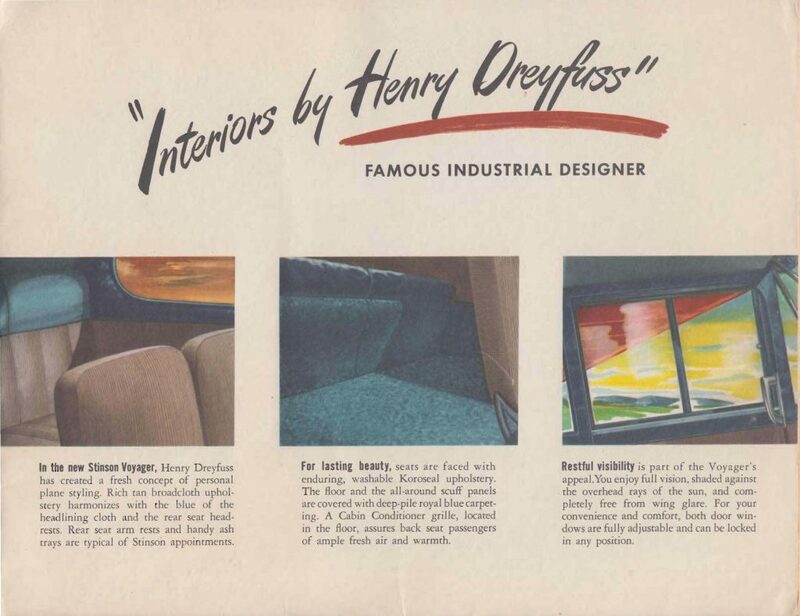 Further evidence of the desire to put quality into the interior, they went through the effort to include a panel in the brochure detailing that they interiors were not just a Stinson product, but that they had secured input and guidance from a “famous industrial designer” to get it just right and really provide the quality a Stinson owner deserved. With the basis of expectations set, and midway through the brochure, it is now time to detail some more of the features that might push the sale over the top. 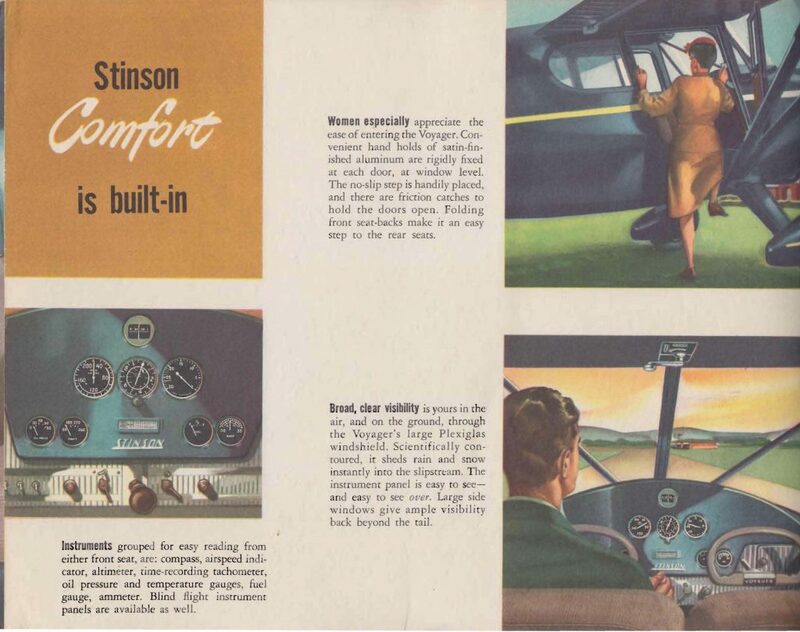 A couple of these features still hold true for us as we considered the purchase of a Stinson. The good visibility offered by Stinson over the nose really does make it an easier tailwheel aircraft to land. That will certainly help Aimee learn to fly in it easier than some other tailwheel aircraft might be from the era. The seats really are actually pretty darn comfortable. It’s a little wider side-to-side than some other 4-seat aircraft, and the way they sit provides enough back support to be comfortable for full days of flying, although with breaks being welcome. 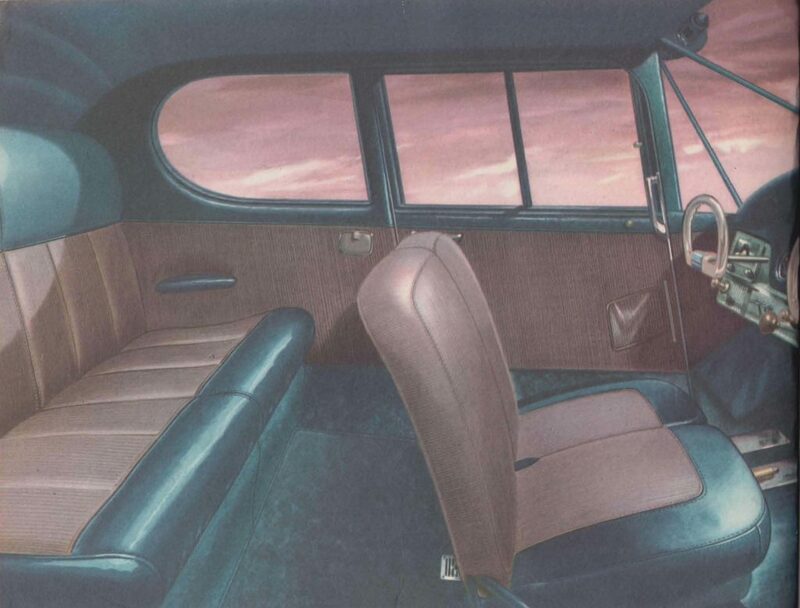 The baggage area behind the front seat (if you removed the back seat) is very large in the Stinson 108 series. While different models have different weight limits on the floors, much could be fit back there if a couple of people wanted to travel in the front seat and leave the back seat out to include the stack of bags pictured above. Selling quality and safety was important. 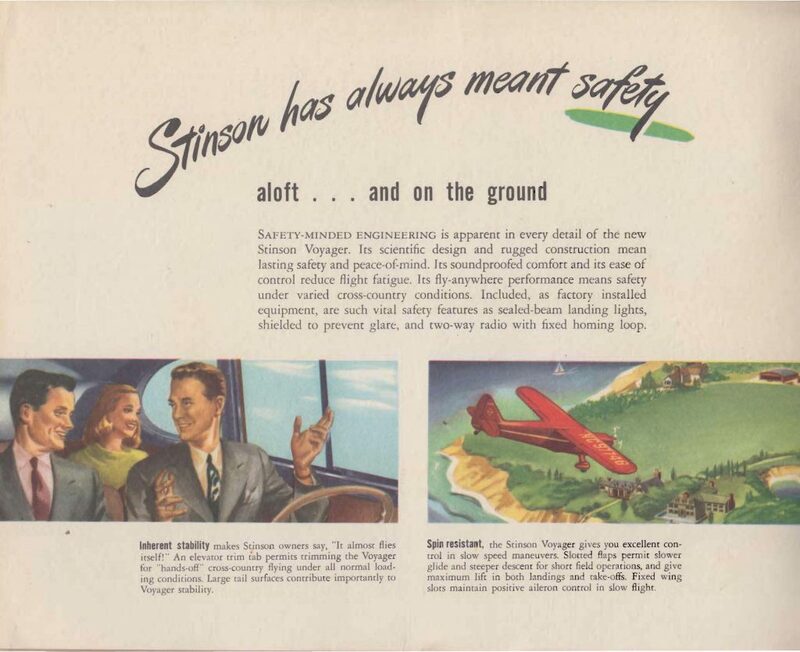 If we look back at pilot safety records from the 1940’s, the reality is that many many more pilots ended up in accidents on a percentage basis than now. 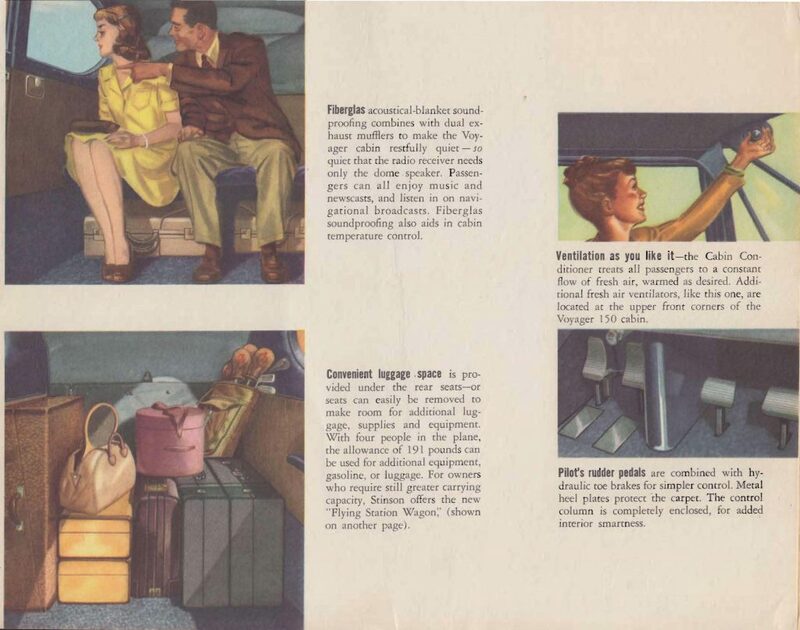 In these promo materials, it was interesting to see the highlighting of the changes in construction that were starting to include aluminum materials for parts of the aircraft. 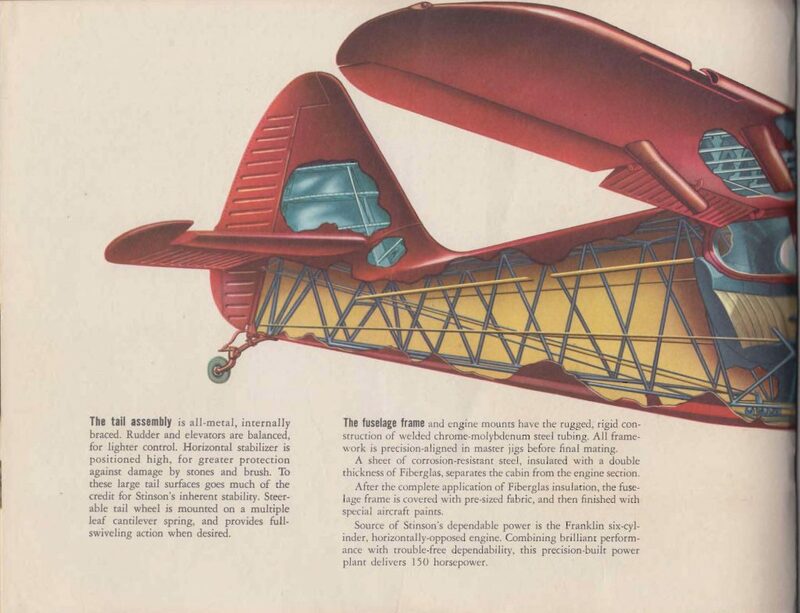 This was the beginning of an era when aircraft were transitioning from wood and fabric construction to more parts being metalized. The perception of this increasing reliability, the ruggedness of the aircraft, and the overall safety became a selling point, no different than a parachute system may be on a Cirrus today. But looking backward in time, having a metal tail sure doesn’t seem all that earth shattering of an upgrade to us now. 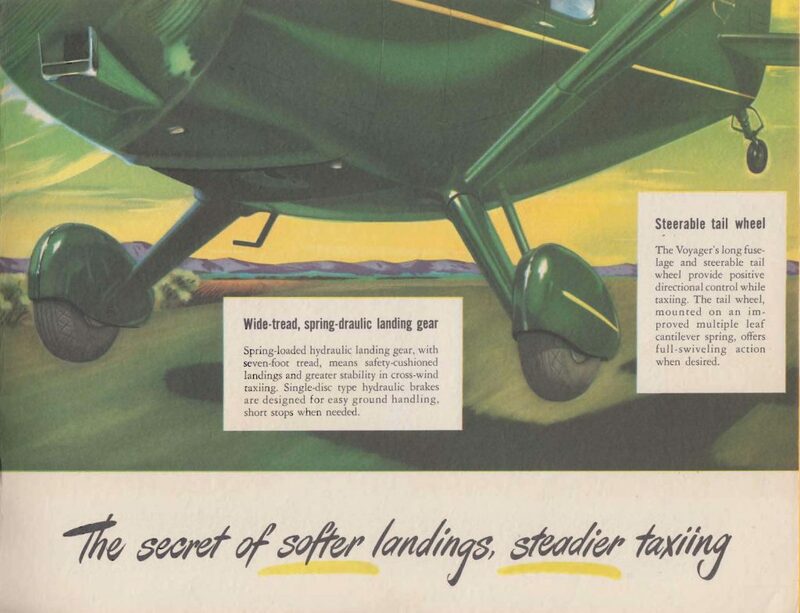 Even back in the 1940’s, stability and avoidance of stalling (or spins) were beginning to be something that pilots (and probably their passengers) recognized as important for safety. Selling the fact that the aircraft was perceived as stable and “spin resistant” would help allay some of the fears of the death by spinning into the ground. I can imagine some husband showing his somewhat reluctant wife the panel that says the aircraft is “spin resistant” as evidence that this was just another reason why buying a plane wasn’t dangerous anymore. 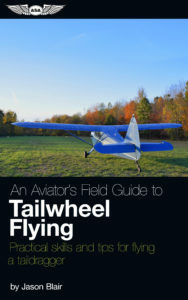 Most pilots have the belief, and it is not unfounded, that tailwheel aircraft are harder to land than tricycle gear aircraft. But even within the tailwheel aircraft models, some are easier than others to land. 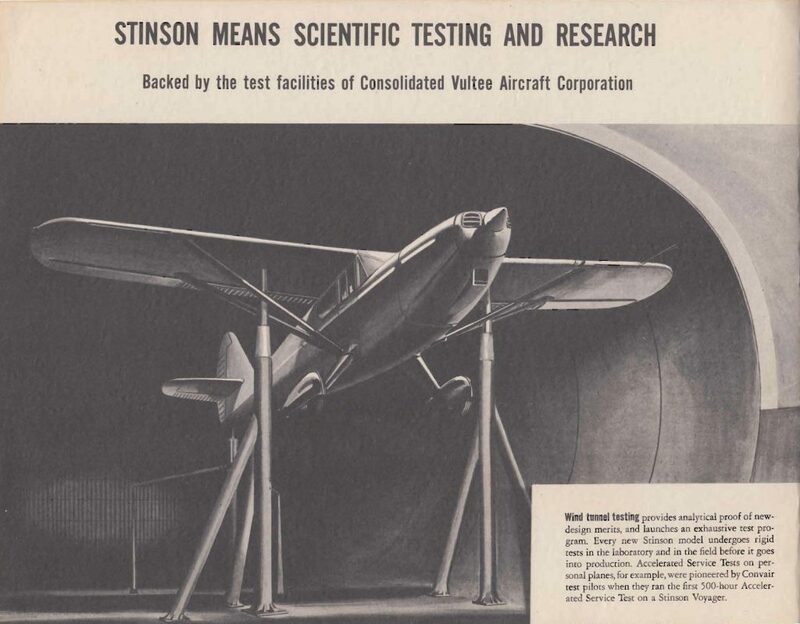 Stinson made the case that the Voyager was easier than other models a pilot may have seen, heard or, or even tried, because of its wider spring gear and the steerable tailwheel. Certainly, this could help Mr. Pilot avoid the embarrassing ground loop at his home field in front of his friends when he returned after flying to a day of work or the hunt club! While I have not personally managed to get the exact range distance, the exact short field takeoff performance, or the shortest highlighted landing distance, I can’t say it is all that far off either. With cooperative weather, the Voyager 150 really did offer a pilot and passengers the opportunity to fly this aircraft over long distances. I know this is true. We crossed the country south to north in it when we purchased ours with minimal delays due to weather. 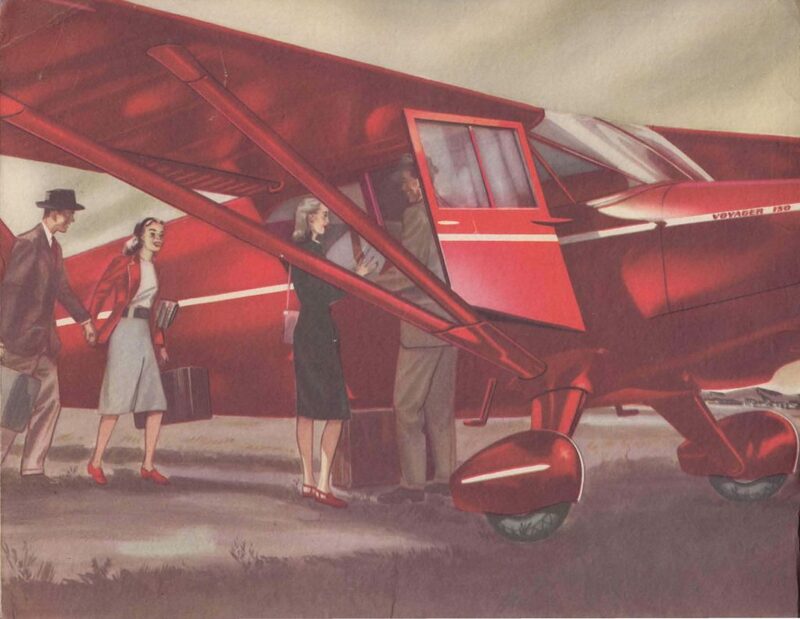 For the time, which was well before most general aviation aircraft were equipped with even minimal IFR capable equipment, flying across the country was a VFR effort. 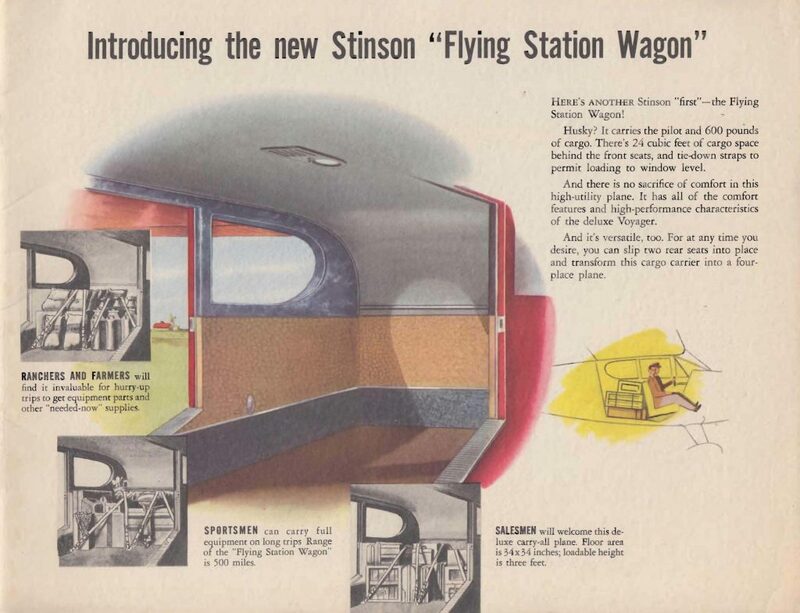 We think about this differently now due to the changes in equipment, but this represented an ability to travel further, more efficiently, and more quickly certainly than any family automobile might have offered in a time period before interstate highways were even built. Even in the 1940’s economy was a selling point. 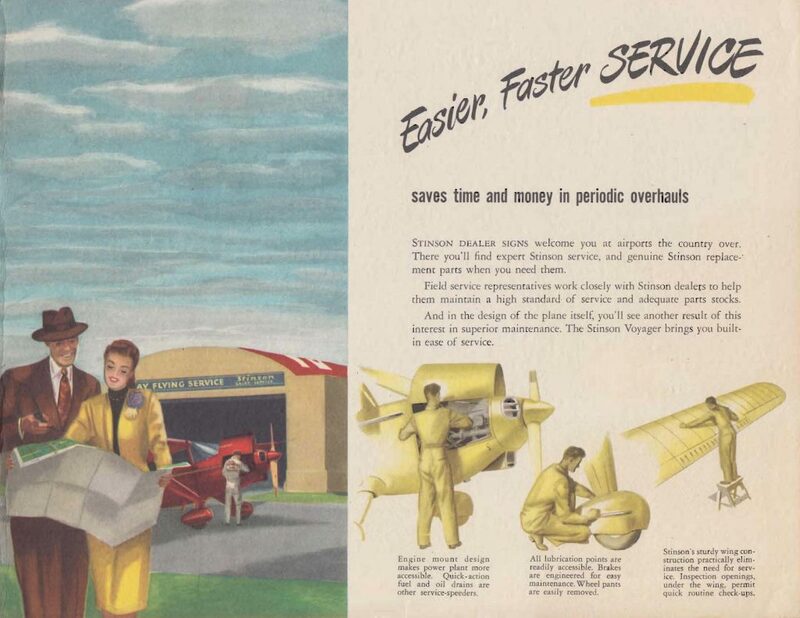 Lowering fuel costs per mile, having an aircraft that would last longer, and would have simple systems that would minimize maintenance costs were good selling points. Think they would have thought it would still be flying 70 years later? 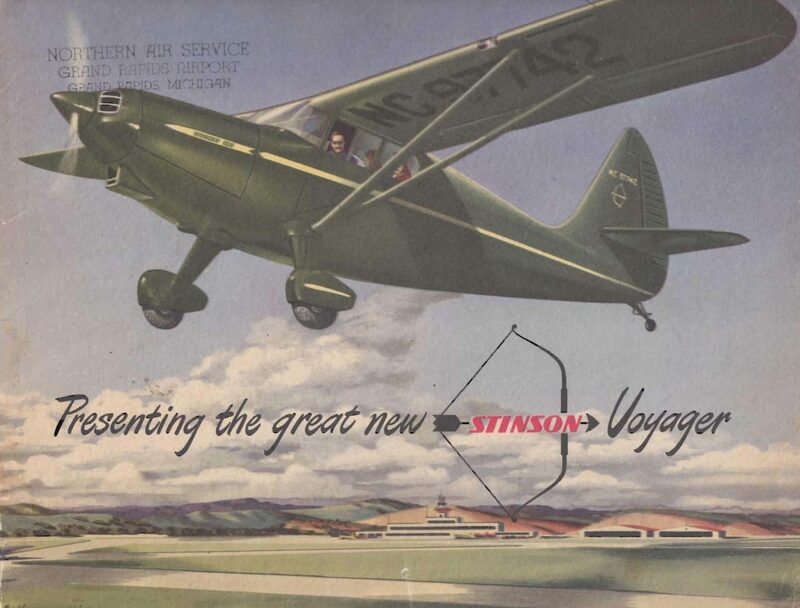 At the time, indicating that there was a good support network of qualified mechanics familiar the Stinsons would be as easy as looking for a “Stinson Service Provider” sign at the local airport was all that needed to be said to encourage the fact that in the event it was needed, service would not be hard to find. 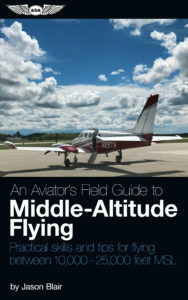 This is a very different approach than we have now in general aviation. 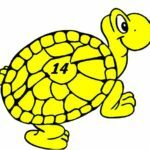 Few maintenance providers hang out their shingle for service to just one manufacturer of aircraft but instead, highlight their ability to work as A&P and/or IA FAA qualified mechanics who may work on multiple different makes or models of aircraft. 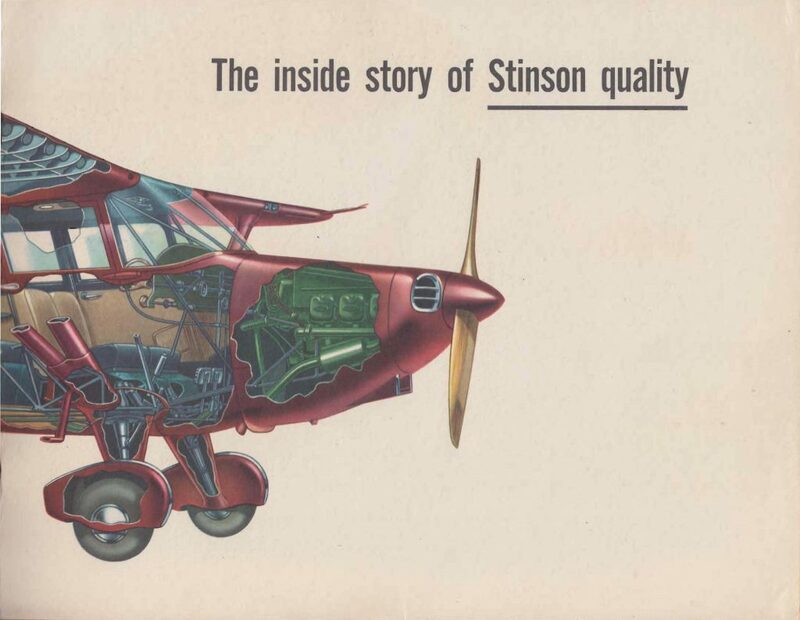 In an iconic image, one looking almost futuristic, the brochures harkens to a feeling of looking at what is advanced technology in the Stinson. Before computer-aided design would have allowed testing of aerodynamics, an aircraft might have been put up on pylons in a wind tunnel as pictured to study the design characteristics of the aircraft instead of just allowing a test pilot, or eventually the customer, to be the unwitting testor of any new design changes. 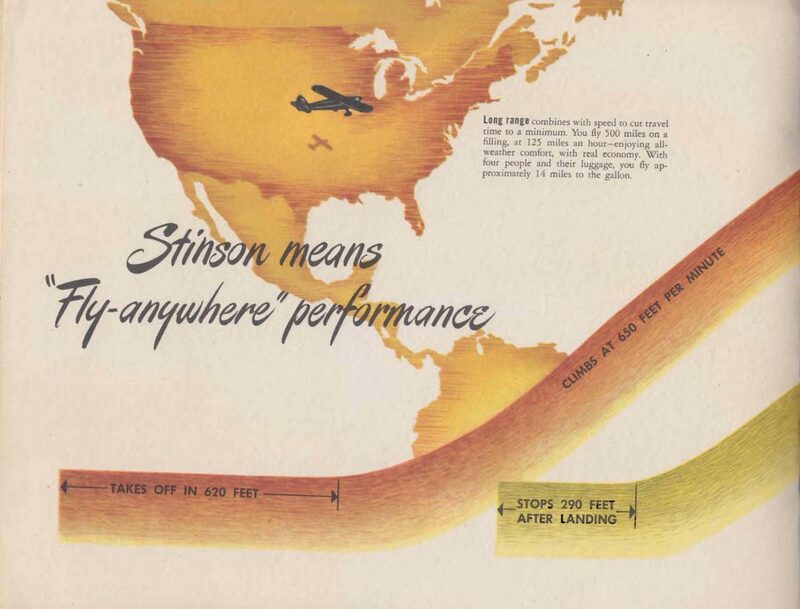 Considering the different potential applications the aircraft could be used in, Stinson aircraft highlighted a couple major potential markets, such as a rancher who might fly from end to end of his ranch or into town, or a sportsman hauling his gear, or even a salesman hauling his sales materials with the back seat removed in each case. 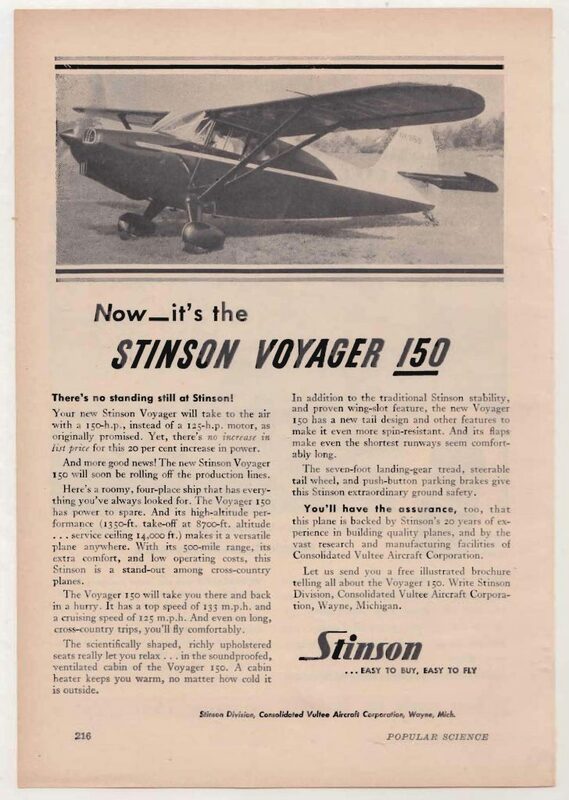 With these situations, who could imagine something better than a Stinson Voyager 150 to do the job? Finally, to wrap it all up, we close the brochure with a basic specifications listing. I can imagine a would-be purchaser using this to compare against some other manufacturer’s model of aircraft, comparing pro’s and con’s of each model. It can be hard for us to put ourselves into the mindset of a potential salesman or buyer of an aircraft such as this with now 70 years past. But with little finds like this brochure, we see how much effort was put into producing a high-quality sales and marketing piece for a product that they thought would be purchased by tens of thousands of buyers around the country. Were they right? Well, they were more right then about how many would be sold than we see now on a yearly basis. So, I can’t say they were wrong. But I can say it shows were are definitely missing something in general aviation today. 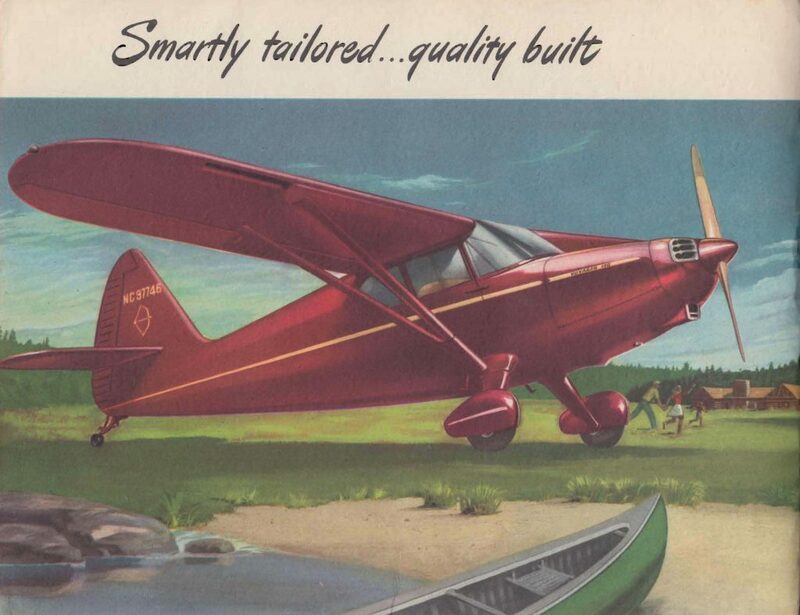 If nothing other than a bit of class and flair in the promo materials for an aircraft of the time. And as if the brochure wasn’t enough, how about if you had a brochure and then saw it in the Popular Science magazine also? Just another example of the sales efforts of the time to get the average family to buy a plane and use it for business and pleasure.